I used to carry a tactical backpack firmly strapped to my back any time I went out on a hunting excursion. That is until I finally broke down one night after an all-day hunting trip and decided to order a chest rig. It is a decision that I will never regret! Don’t get me wrong, I love my tactical backpack, but there are some things it just isn’t suited to handle, and it can get rather bulky. I have a tactical fanny pack as well, but it just can’t hold all the gear that I like to have with me. This is where the chest rig really starts to shine. With a chest rig, I can keep a slim profile, it doesn’t affect my mobility, and it can hold all the gear that I need without adding extra fluff to weigh me down. Whether you just need more room for those extra two magazines, or you have a closet full of MOLLE gear waiting to be used, you should check out our review of the best chest rigs available. Who knows, maybe you’ll find a chest rig that will allow you to retire that old backpack? The chest rig that we believe deserves the number one spot on our list comes to us from a brand that most survivalists and preppers are probably already very familiar with. Filling our number one spot on this list is none other than the MCR5 Recon Chest Rig from Condor. The MCR5 is constructed with a nylon material, with thick stitching in all the right places, and heavy-duty buckles. Overall, the durability of the MCR5 is a little better than some other entry-level chest rigs we’ve seen recently. You will need all that durability for the massive amount of gear that this thing can carry. For starters, there are three built-in stacker/kangaroo type mag pouches that can hold up to 6 AR or M4 (.223/5.56) mags and 6 pistol mags. 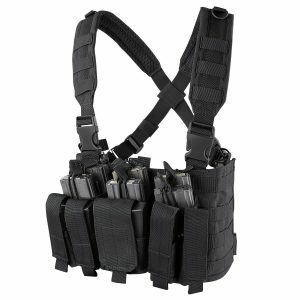 On either side of the vest, you will find a top-open utility pouch that is designed to give you quick access to smaller items and keeping them at your side always. Just behind the row of kangaroo pouches, there is an admin pocket and a mesh pouch for holding things such as ID cards, your phone, or other small items. The shoulder straps are padded for comfort and have a D-ring attached to the top of each strap. The buckles that hold together all of this are extremely heavy-duty and the Swivi-Lockster push release buckles on either side of the vest make it easy to take off your chest rig in a hurry while also adding to your level of maneuverability. The S.T.R.I.K.E. Non-Cutaway Tactical chest rig is one of my own personal favorites because of all the MOLLE webbing that lines the outside of this thing. There is more webbing here than you will probably ever need, but it’s always better to have it and not need it instead of needing it and not having it. And with all this webbing, you can tack on a lot of additional pouches, water bladders, or really any of your other MOLLE compatible gear. Oh, and if you are looking for a chest rig that is not only built to hold a lot of gear but is also extremely durable and will never fall apart on you, you can’t go wrong with the S.T.R.I.K.E. 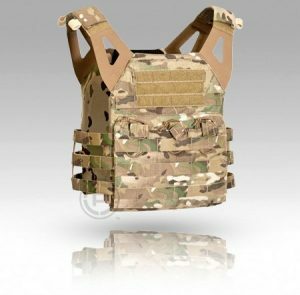 There are two versions of this chest rig available; the MultiCam, or solid color. Now, at first, you may think that this is only a difference in color, and for the most part that is true… except for when thing. If you choose the MultiCam version, you are getting a chest rig made of 500D CORDURA, whereas the solid color chest rig is made from 500D ripstop. Personally, I prefer the 500D ripstop nylon material because it is scratch and abrasion resistant, but it’s fairly water repellant as well from what I have tested. If you need to slim down your profile just a bit or want the vest to sit tighter on your torso, there are adjustable waist and shoulder straps in place to give you a more tailored girth and torso fit experience. The fit of this chest rig isn’t quite as comfortable as the experience you get from the Condor MCR5, in my opinion, but it’s still fairly comfy. Aside from being a prime choice as a simple tactical chest rig, the Blackhawk S.T.R.I.K.E. is also capable of carrying ballistic plates. It can accommodate up to 10″ x 12″ ballistic plates on both the front torso and back pads, with the option to expand to provide you with enough room to throw in a couple of side plates should you decide you need any more protection than that in the future. And don’t forget to grab a Blackhawk S.T.R.I.K.E. water bladder to strap to the back of your chest rig. The Jumpable Plate Carrier (JPC) from Crye is a lightweight, budget-friendly chest rig that is designed to give you the most bang for your buck in terms of mobility, load management, and comfort. A feature favored by most owners of the JPC vest is probably the Skeletal cummerbund system. This is a patented, integrated attachment system designed to let you mount pouches on the inside and outside of the cummerbund. This allows you to get rid of some of your total load weight and slim down your profile a bit while improving ventilation inside the chest rig. There are fully integrated admin and magazine pouches found in the center of the rig. Keep all your ammunition and magazines right up front for easy, quick access when it matters the most. All of the pouches are velcro secured, so you will hear it when one of these is being opened. In addition to all these great features, the Crye JPC is completely MOLLE compatible and comes with a velcro chest pad. The Crye Precision JPC can hold up to 10⅛” x 13¼” ballistic plates. The Condor outdoor modular vest is a tactical vest that is built around the straightforward concept of keeping you safe while also helping you keep your best equipment at the ready thanks to its MOLLE-compatible design. The only other chest rig on this list that truly rivals it in terms of MOLLE reserved space, is the Blackhawk S.T.R.I.K.E. The shock stop shoulder pads are fully padded to give you a comfortable, ergonomic feel while the mesh back padding delivers only the best in ventilation. Along the bottom of the vest, you will find hanging guides for your firearm or a duty belt. The Condor Outdoor Modular Vest zippers along the front side and is further secured by two heavy-duty quick release buckles. The buckles are easy to release, but keep their hold firm even with very rough handling and tugging. The Condor Outdoor Modular Vest accepts up to 10.25” x 13.25” plates on both the front and back pads and can hold 6” x 8” plates on either side. As we mention often here on Gun News Daily, before you buy any piece of tactical gear, you need to consider a few things. Knowing what constitutes “quality” for a specific tool or other equipment should be the very first step in the process. Once you have this information, you will be much better equipped to pick out the best gear you can find within your budget. To help you get started, here are a few of the main things that you need to consider before you buy a chest rig. Any piece of tactical equipment that you buy should be made of the quality that you can get within your budget. The material that your chest rig is constructed from is equally important. If you are carrying around all your gear on a day-long hike, the last thing you want is your chest rig busting a seam, or worse, the shoulder straps tear. At that point, you can kiss all that fancy hiking gear goodbye along with your newly purchased chest rig. 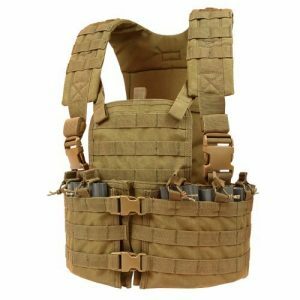 On your search to find a chest rig that uses only the best materials available, there are a few things to look for. First, you want to make sure that the stitching is tight, and preferably cross-stitched. This type of stitching pattern will give you the strongest seams possible. Second, let’s talk about zippers for just a moment. 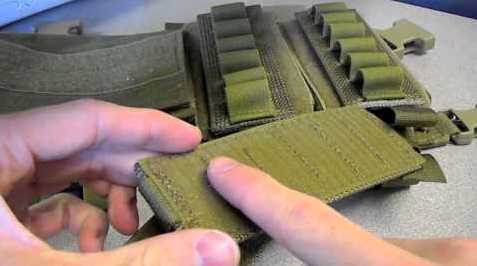 There are all kinds of zippers used in tactical gear of all sorts. Here’s the thing, they are not all made of high-quality metal alloys. Some of them rust, some get stuck easily, while others simply erode and chip away over time. Our advice is to look for a chest rig that uses YKK brand zippers as they are trusted, solid, and are the top choice for most higher-end tactical gear. 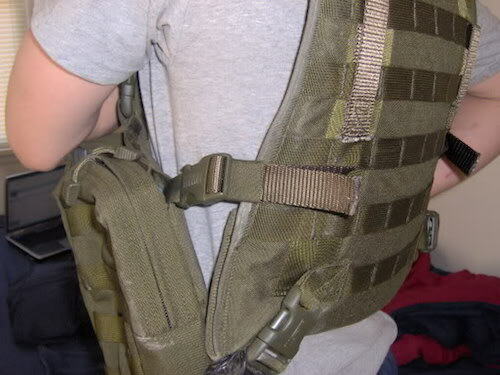 Lastly, the material that most of the chest rig is made from needs to be a high-quality nylon. 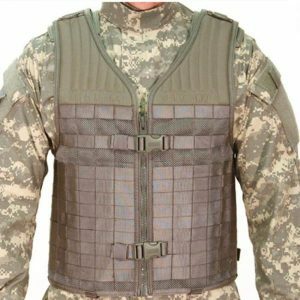 Typically, tactical vests are constructed of something like CORDURA or ripstop. To test out the vest you are considering buying, grab it on either side of a seam and give it a little tug. If the stitching appears to be coming undone or the material looks like it is about to rip, it is not a high-quality chest rig. One of the main reasons to buy a chest rig is for the ability to carry your gear without the need for a tactical backpack. Since this is one of the main advantages of owning a chest rig, it only makes sense to buy a chest with an ample amount of space for all your other tactical necessities that you may want or need with you out in the wild. 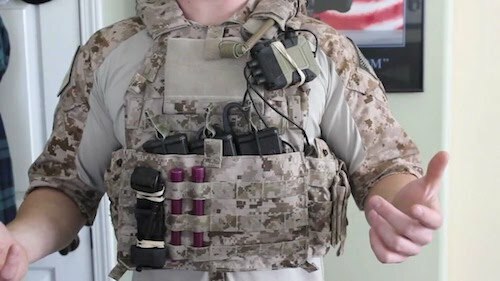 Personally, I like a chest rig that can hold all my spare magazines, has smaller pouches for things like my knife, and preferably one that has a loop to hold my tomahawk. While all the other factors that we have mentioned are certainly nothing to overlook, when it comes down to it, there is one factor that can determine whether a specific chest rig is going to be a good fit… literally. You can find a chest rig that is made of only the highest quality materials and has enough room to carry every piece of gear you own, but none of that really matters if it doesn’t fit properly. Is it loose enough to allow quick and free movement? Is it tight enough that it isn’t going to fall off underweight or stress? Are the shoulder straps both adjustable and secure? In this review, we have looked at our top picks for best chest rigs on the market, given a few tips and pointers, and showcased some awesome features that you will be hard-pressed to find in most other gear-carrying packs. Chest rigs are an invaluable tool that all hunters and outdoorsmen should consider adding to their tactical equipment shopping list today. A slimmer profile, increased mobility, and better load management are just some of the benefits that you can expect to receive with them, in addition to the fact that they offer some degree of protection like body armor and tactical helmets. Just couple all the information and reviews in this article, and you should have no problem picking up the perfect chest rig for yourself. If you own a high-quality chest rig that has never let you down, drop us a comment below, we’d love to hear about it and maybe feature it in a future article.